He said: "Eboué signed for a club and, as a normal procedure, we took him for a medical to check him out. They found abnormal blood values so they didn't issue the licence and we took the decision to send him to England to have medical check-ups there. It's wrong to say at this point he has HIV. Turkish news reports are wrong." 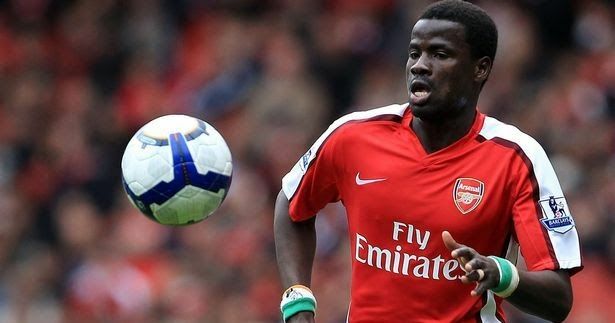 Eboue was a cult-hero during his time at Arsenal making 215 appearances in a six-year spell. He followed to spend four seasons with Galatasaray between 2011 and 2015 where he won two Super Lig titles. Eboue therein made a short-term move to Sunderland in 2016, but his stay was shortlived after he was banned for 12 months for failing to pay his former agent. The former Ivory Coast international has come through one of the most difficult periods in his professional career, and the latest problem could potentially hamper his future in the beautiful game. At 34, the versatile defender has just a couple of years left to build up his bank balance, he will be hoping to receive a positive result from his blood test.